These are some of the most common reasons people give for not starting or growing their businesses. Access to capital is arguably the biggest threat to entrepreneurs around the world. And every year, thousands of passionate people – especially in Africa – give up on their business ideas, projects and dreams just because they can’t find capital. But is lack of capital really the “serial killer of business dreams” that we claim it is? In my experience and opinion, lack of capital is largely a convenient excuse. Yes, it’s true. In fact, I have found that capital is actually more abundant and available in today’s world. The problem is, many entrepreneurs who need capital don’t know where to look for it. That’s why the real problem is actually a lack of awareness about where and how to raise capital, and not a lack of capital. Over the last decade, more capital has been flowing into places like Africa like never before. In 2015, the continent received up to $276.5 million in startup funding. In 2016, the number rose to $366.8 million. And these numbers are just for tech startups alone. Over the long term, I really don’t see anything that would stop these capital flows from rising higher and higher as the years go by. In this article, I dispel the myth of capital by showing you several examples of African entrepreneurs who have successfully raised funding to start, grow and expand their businesses. I don’t just want to give you the facts. Facts can be boring, especially when you’re desperately looking for capital. Instead, I’ll be sharing the success stories that prove just how possible it is to raise capital even in tough and challenging environments like Africa’s. And if these men and women can find capital in Africa, you can find it too! But this article isn’t just about stories. It’s about fixing the misconceptions and wrong notions you’ve always had about raising capital for your business. That’s why I’ve prepared a free and comprehensive short course that will open your eyes to the world of raising capital and how it works. The short course is a first of its kind in Africa and the lessons you learn could change your entrepreneurial journey forever. But you have to finish reading this article first. I’ll show you the free course at the end of the article. 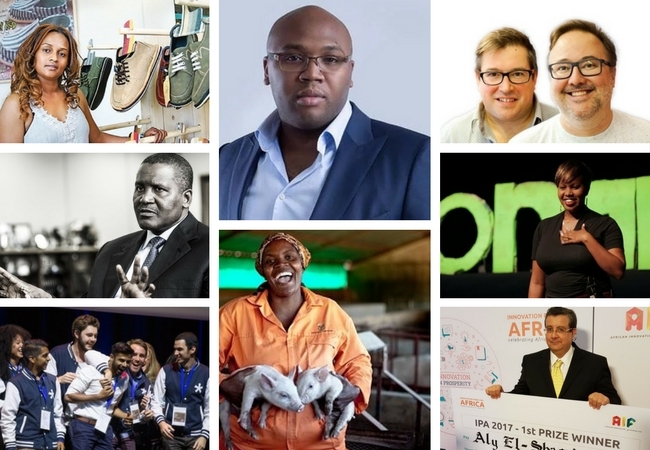 For now, I present to you 10 of the most exciting success stories of African entrepreneurs who successfully raised capital to start, grow and scale their businesses. 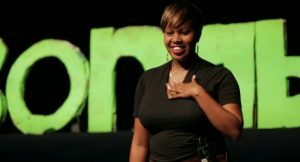 In 2010, she quit her bank job to start a waste recycling business. Her company, EcoPost, collects and recycles waste plastic into aesthetic, durable and environmentally-friendly fencing posts that serve as an alternative material to timber. But her business would have remained a dream without the financial support of international and local investors and NGOs. Every year, hundreds of international and local organisations support businesses that tackle issues such as environmental pollution, illiteracy, disease and other social problems. They usually provide grants, donations, loans, equity or even training and advice. The problem is, many African entrepreneurs don’t know about these funding opportunities, and as a result they don’t apply. So in 2010, Lorna applied for and won a $6,000 SEED Award which served as start-up capital for her business. In the same year, she won a grant award of $12,700 from the Enablis Energy Globe-Safaricom Foundation. She also won a business plan competition organized by the Cartier Women’s Initiative, and received a prize award of nearly $12,000. Recently, her business attracted an equity investment from the Blue Haven Initiative and the Opus Foundation amounting to $495,000. This was used to expand the business and purchase advanced recycling equipment. In the free course at the bottom of this article, I reveal the reasons why these organisations are eager to support businesses in developing countries by giving away millions of dollars as grants, donations, loans and equity every year. 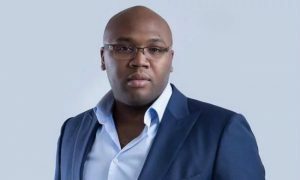 Jason is the co-founder of IrokoTV, a mobile entertainment and internet TV platform that’s particularly popular for its impressive catalogue of African ‘Nollywood’ movies. But the struggle in the early days of this business was not as glamourous. After failed attempts at previous businesses in the UK, Jason returned to Nigeria in 2010 to build relationships with local movie producers and purchase content rights for his new startup, IrokoTV. Cash was tight, and starting this business would have been impossible without the £90,000 contribution of Jason’s friend and business partner, Sebastian. Since then, the growth of IrokoTV has been remarkable. To date, the business has attracted up to $40 million in investment funding from foreign investors, mostly venture capital investors. Its investors include Tiger Global, a New York-based private equity firm, and Investment AB Kinnevik, a Swedish venture capital investor. Venture capital firms invest more than $140 billion every year in startups and growth businesses across the world. But in Africa, venture capital is only just starting to pick up and they’re very interested in funding highly-scalable businesses that have significant profit potential. In January 2016, IrokoTV raised $19 million in additional funding to expand its business into Francophone countries in Africa. I explore business partnerships and venture capital in more detail inside the free course. But her business journey wasn’t rosy, and she struggled to raise capital to start and grow the business. 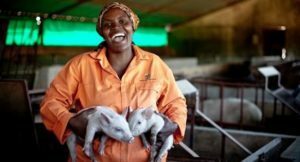 In 2004, Anna started her first pig farm in Soweto with $100 contributed from her personal savings. She started with only 4 small pigs. After four years — in 2008 — she was contracted by Pick ‘n Pay, the South African supermarket chain, to supply its stores with 10 pigs per week. This was a first breakthrough and the request grew quickly to 20 pigs per week. By 2010, she had signed a major contract with Pick ‘n Pay to supply 100 pigs (per week) over the next five years under a R25 million deal – that’s nearly $1.9 million (in Aug 2017 terms). With a contract in hand, Anna was able to raise capital from ABSA Bank and USAID to buy a 350-hectare farm property. Today, her farm houses 4,000 pigs at a time and employs about 20 staff. Most entrepreneurs who want to start a business often turn to banks and end up disappointed. And that’s because banks tend to focus on growth and mature businesses that have healthy cashflows andcollateral that can be used to secure the loan. If don’t have any of these, you could be wasting your time chasing a bank loan. Many entrepreneurs don’t know this but banks are just one out of 15 different options for raising capital. The problem is, too many unqualified businesses approach the banks for loans. Inside the free course, I’ll explain each of these 15 other options of funding, and the important criteria you have to meet before you ever think of approaching the banks for a loan. Dr. Aly El-Shafei is a MIT-trained academic and mechanical engineer. He is now famed for his patented innovation – SEMAJIB – a versatile magnetic smart bearing which has interesting applications in electricity generation. 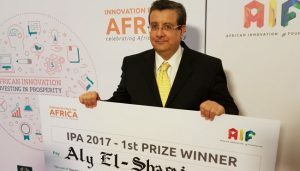 In 2017, Dr. El-Shafei won the Innovation Prize for Africa, a grand award of $100,000. The prize money will be used to further develop his invention and create an industrial prototype. Before winning this award, he had won €240,000 from the European Union’s Research, Development and Innovation Programme in 2009. In 2013, he landed a $100,000 grant from Egypt’s Science and Technology Development Fund. Every year, there are hundreds of local, regional and international competitions that take place across the world. The amount of capital that can be won from these competitions ranges from a few thousand to millions of dollars. But there are more benefits that can be gained from competitions beyond winning. Even if you don’t win, the experience, exposure and feedback can bring remarkable benefits to your business. In the free course, I provide a long list of business plan competitions and initiatives that you can start targeting for funding. Dominic Mensah, Prince Boakye Boampong and Jesse Arhin Ghansah started OMG Ghana in 2012 when they were in college. Smartphones were becoming more popular back then, but Jesse and his friends had a hard time finding interesting things to read online. 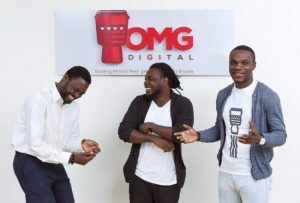 So they decided to create a media company that provides content for people like them – young and internet-savvy Africans. Today, the company’s brand and following has spread from Ghana into Nigeria and Kenya. And it’s set to launch sites for South Africa, Uganda, Zambia and Tanzania. The team of three entrepreneurs was accepted into Y Combinator, one of the world’s most prestigious accelerator programs. And in June 2017, they raised $1.1 million from a group of venture capital firms and angel investors. Angel investors are usually rich people or professional investors who invest in early-stage businesses. These are people who invest their own money in a young business in the hopes of making a high return on investment. Without angel investors, some of the most successful businesses in the world today, like Microsoft, Google and Facebook may have never existed. In the free course, I talk more about angel investors, accelerator programs and venture capital investors. These are alternative sources of capital that many entrepreneurs in Africa just don’t explore. Africa’s richest man, Aliko Dangote, currently worth $12.3 billion (mid-August 2017), is a role model to entrepreneurs on the continent. While his business interests currently spread across Africa, Dangote’s impressive fortune was built from very humble beginnings. He started his business in 1978 with 500,000 Naira borrowed from his grandfather. That’s about $1,400in today’s terms. A common mistake we often make as entrepreneurs is to overlook and take for granted those sources of capital that are around us and within our reach. Friends, family, work colleagues, neighbours and people within our social sphere can be interesting sources of capital, especially in the early stages of business. And because business flourished, Dangote was able to pay back the loan to his grandfather in about six months. In the early years, Dangote focused on importing soft commodities, including rice, frozen fish, sugar and baby food into Nigeria. Today, his business interests have expanded into local production of cement, salt, flour and recently, petroleum refining. 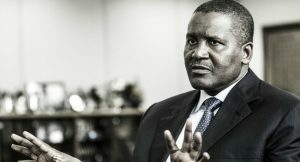 These days, the banks, private and institutional investors are keen to invest in Dangote’s businesses because of the track record of success he has achieved over the years. But in the beginning, it would have been tough – if not impossible – for him to raise startup capital from any of these sources. Remember, only people who know, like and trust you will be willing to take a chance on you in the early days of your business. While it’s still a great option, I’ll show you some of the good and bad sides of raising capital from friends and family in the free course. Bethlehem Alemu grew up in Zenabwork, a poor village in the suburbs of Addis Ababa, Ethiopia. 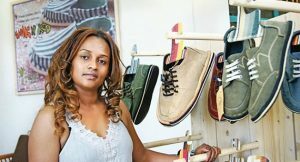 Her business – SoleRebels – is one of the most popular and fastest-growing African footwear brands in the world! Her collection of eco-friendly footwear (made from recycled materials) have been sold in more than 50 countries across the world, including the USA, Canada, Japan and Switzerland. But her business dream would have never have taken off without the $10,000 in capital she raised from family and relatives in 2004. Despite her poor background, it was possible to get her family and relatives to pitch in their contributions. This is the not-too-glamourous part of getting a business off the ground that glossy magazines fail to mention. Success comes at a price. It may be embarrassing and downright difficult to ask other people to invest in your business idea, dream, vision or project. But you just have to do it if you want to stand a chance. Using that initial capital, Bethlehem’s business took off and she has gone ahead to launch another fashion business – Republic of leather — that trades in luxury leather products like bags, belts and other non-footwear leather accessories. Her inspiring success story has been featured on Forbes, the BBC and CNN. And she was described by Forbes as ‘One of The World’s Most Powerful Women’. Anish Shivdasani and Shafin Anwarsha are the entrepreneurs behind Giraffe, a South African startup business that provides low-cost automated recruitment solutions, based on a mobile app. 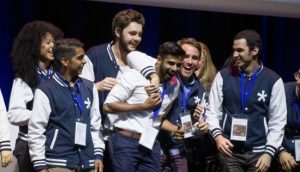 In 2016, the business won the Seedstars World Competition, beating 63 other startups from 55 countries across the world to win the grand prize of $500,000 in equity investment funding. On a continent where many entrepreneurs complain about lack of capital, this startup from South Africa beat other businesses from across the world to win the prize. Of course the judges were impressed by the ingenuity of their business model and its potential impact on unemployment in South Africa. The truth is, there are hundreds of startups in Africa that could achieve the same feat if only they participated in competitions like this. Shortly after winning the $500,000 prize, Giraffe attracted an undisclosed additional seed funding from a group of US-based investors, led by the Omidyar Network – a philanthropic investment firm of Pierre Omidyar (founder of eBay). Like I mentioned earlier in this article, one of the benefits of winning a competition is the exposure it gives to you and your business. Very often, the exposure ends up attracting more investors and capital to you. For over a decade ‘Jide Ipaye worked as an IT professional, but deep in his heart, he wanted to do something much different. He wanted to make stylish footwear. From an early age he’s always loved shoes but the options available to him were quite limited because of his foot size – he’s a size 48 (European). So, finding shoes that are the right size and fit had always been a challenge. 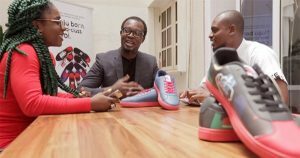 So, rather than just make bespoke shoes for himself, ‘Jide came up with an idea to manufacture cool and high-quality footwear in Nigeria. That’s how Keexs, his Africa-inspired brand was born. But there was no capital to fund his dream. So, in 2015, he successfully raised £17,871 on Kickstarter, the world’s largest crowdfunding platform. ‘Jide used this capital to produce the first batch of 1,200 sneakers that effectively launched the brand and made it a reality. Crowdfunding is rapidly becoming one of the biggest sources of capital for passionate people who are looking to bring their business ideas, projects and dreams to life. In 2015 alone, the global crowdfunding industry raised $34.4 billion to support entrepreneurs across the world. But in Africa, crowdfunding remains largely unknown to entrepreneurs on the continent. In the free course below, I explain how crowdfunding works and the different platforms that exist across the world. 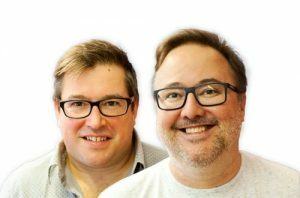 Zoona is a financial services business founded by two entrepreneurial brothers – Brad and Brett Macgrath in 2009. One is an ex-JP Morgan banker and the other is a former commercial director of a telecom operator in Zambia. The startup provides both in-country and cross-border money transfer services in several African countries – Zambia, Malawi and Mozambique. And so far, it has processed more than $1 billion in money transfers, bill payments and other financial services. In 2016, Zoona raised $15 million of capital from a group of investors led by the International Finance Corporation. The funds are being used to scale up the company’s operations as it aims to reach ten markets and 30 million active consumers across Africa by 2020. The International Finance Corporation, or IFC, is an example of an international development institution. And there are several more like it that exist to support and invest in businesses, especially in developing regions of the world like Africa. Most international development institutions are funded or sponsored by foreign governments or global institutions like the World Bank, United Nations, European Union etc. In the free course, you’ll learn more about these types of organisations and the kinds of businesses they invest in. Ready to learn how to raise capital? That’s why we created the Capital Attraction Secrets Course for our readers. The 5 most common mistakes you should avoid when you’re raising funding for your business.